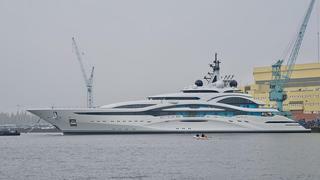 AL LUSAIL is a Loading... luxury yacht, built by Lurssen and delivered in 2017. She can accommodate up to 36 people with 56 crew members. She was designed by H2 Yacht Design, and the interior design was created by March & White.